"Good things come to those who bait!" 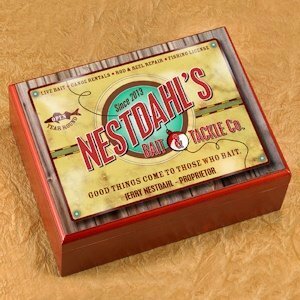 The recipient will be "hooked" on this bait and tackle version of our cigar humidor! 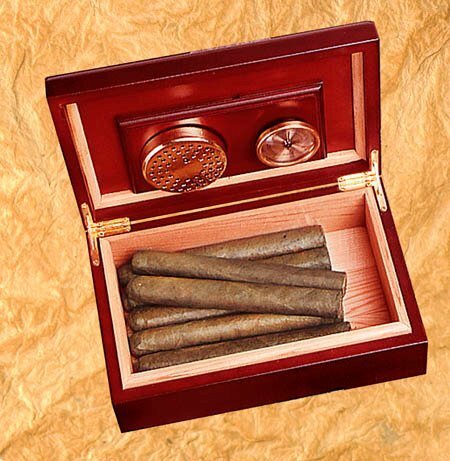 The purpose of any humidor is to keep your cigars at peak freshness. 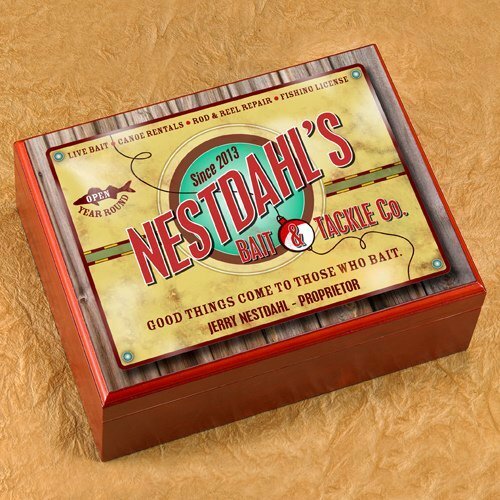 The box measures 9-1/2" by 3-5/8" by 7" and is personalized with first and last name and year established. Make any cigar enthusiast feel special with a personalized humidor in which to store his prized collection.